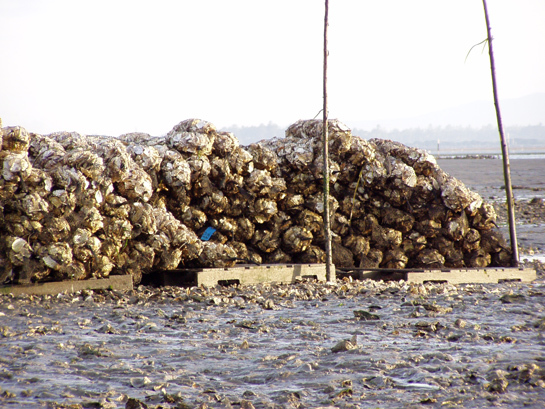 Shellfish nursery bags stacked on intertidal flats. Evaluating geoduck aquaculture and sand dollars. 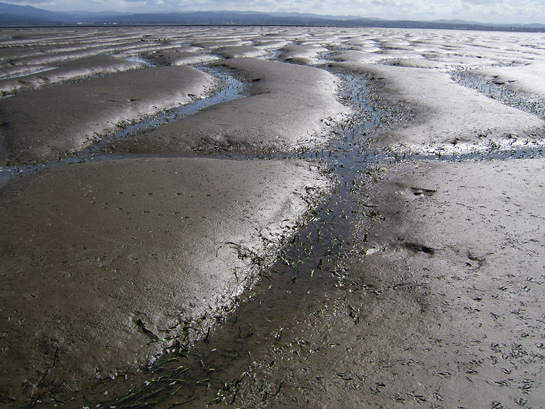 Intertidal mud flats near oyster beds. Confluence Environmental Company staff have worked with shellfish growers for many years, individually and collectively. Our scientists have provided regulatory compliance and permitting strategies; developed biological assessments, habitat plans, and permitting documents; researched shellfish ecology; and created study designs for a wide range of shellfish aquaculture projects. Confluence’s work with growers at the individual project level has included local, state, and federal permitting; field studies; and regulatory strategy for individual growers. These efforts, combined with strategic shellfish industry programmatic efforts such as the U.S. Army Corps of Engineers Nationwide Permit 48, have improved and reduced the individual permitting efforts required for existing and new shellfish aquaculture. By recognizing the stewardship and intrinsic connections between growers and the aquatic environment, clients such as Pacific Coast Shellfish Growers Association, Taylor Shellfish Farms, Pacific Seafood/Coast Seafoods, Seattle Shellfish, and numerous smaller growers have benefited from Confluence’s expertise and understanding of resource agencies and their regulatory responsibilities. 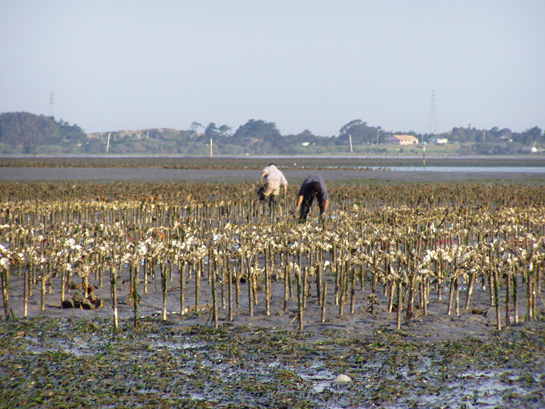 Currently providing permitting assistance for expansion of shellfish aquaculture operations in Humboldt Bay, CA (Pacific Seafood/Coast Seafoods). Contributed to the design of a floating nursery system, and analyzed potential impacts to species and habitat listed under the Endangered Species Act, Magnuson-Stevens Fishery Conservation and Management Act, and Marine Mammal Protection Act. 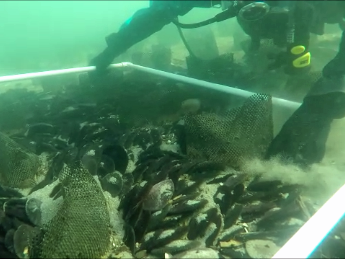 Completed eelgrass surveys, sediment sampling, and cumulative impacts review for proposed geoduck aquaculture in Burley Lagoon near Purdy, WA (Taylor Shellfish Farms). Completed nearshore surveys and assisted with permitting for expansion of aquaculture operations in South Puget Sound (Taylor Shellfish Farms). Currently providing expert review and consultation for the U.S. Army Corps of Engineers eelgrass delineation methods (Pacific Coast Shellfish Growers Association). Provided expert witness testimony for shoreline substantial development permit appeals in Pierce and Thurston counties (Client: Arcadia Point Seafoods, Taylor Shellfish Farms, Seattle Shellfish). Provided permitting assistance for new FLUPSYs (floating upweller systems) and upland hatcheries (Seattle Shellfish, Taylor Shellfish, Pacific Seafood/Coast Seafoods, Hog Island Oyster Company).